Cab Rack or Headache Rack: Does the Name Really Matter? 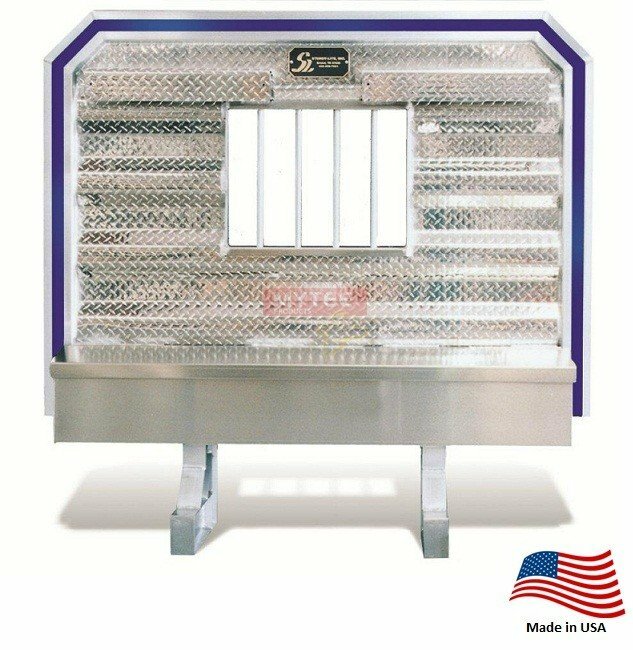 Truck drivers who come to the Mytee Products website looking for a shiny metal rack to mount to the backs of their cabs will find what they’re looking for under the ‘headache racks’ section of our website. Yes, we call them headache racks. Others call them cab racks. Does the name really matter? That depends on who you ask. No one really knows how the headache rack got its name. We can only surmise that the name comes from the rack’s ability to protect a driver from cargo that shifts forward during transit. But that’s assuming the headache rack name first applied to the racks on 18 wheelers. But maybe that is not the case. At any rate, the point is that we all know what headache racks do regardless of what they are called. The name is only important if you draw a distinction between pickup truck and 18-wheeler models. Some people do see a difference. Say the word ‘truck’ among a group of people and those around you will not necessarily know if you are talking about a big rig or a pickup. The word is rather generic. As such, differences between trucks have given rise to different opinions about headache racks and cab racks. For those who see a difference, the headache rack applies to a pickup truck while a cab rack applies to a big rig. Why? Once again, no one knows for sure. One possible explanation is that manufacturers of aftermarket parts for pickup trucks have co-opted the headache rack term. Not wishing to be associated with pickup trucks, manufacturers of big rig racks have settled on the cab rack name. Let us assume such a distinction is worth maintaining. That would suggest a significant difference in the two kinds of racks. A headache rack made for a pickup truck is going to be much smaller – and that is just for starters. It is also not going to be capable of withstanding as much force. You wouldn’t expect it to, given the comparably light loads pickup trucks carry. On the other hand, a cab rack on the back of an 18-wheeler is going to be a lot bigger and stronger. It has to be able to withstand the force of thousands of pounds of cargo being slammed against it. But there is another difference too: a big rig’s cab rack also has to offer some storage functionality as well. Tractor trailers are limited in terms of their total allowable weight. So if you’re adding a headache rack to the back of your Peterbilt, for example, you have to account for the weight of the rack when calculating the total weight of the rig. You want to keep the weight as low as possible in order to maximize the amount of cargo you can carry. As such, you expect your headache rack to do dual duty. There are some tractor-trailer racks that are nothing more than steel plates with a couple of hooks for hanging chains and straps. But there are others with built-in storage space for everything from chains and straps to ratchets and winches. Some have storage compartments large enough to accommodate truck tarps. You will not find that kind of storage in a pickup truck model. In the end, the name doesn’t really matter as long as you get what you need. Mytee Products has what you are looking for. We invite you to browse our selection of headache racks and toolboxes.